The Z-Three is our relaxed leg jean. 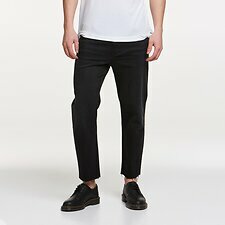 With a longer rise, it falls straight from the thigh to a slightly tapered fit from the knee. 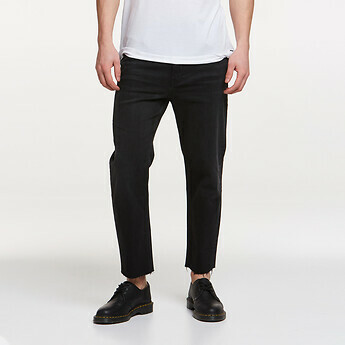 Finished in a comfort stretch classic washed black stretch denim with a raw cropped hem.